This tutorial will teach you what RSS feeds are, where to find them, and how to add the to your digital sign. 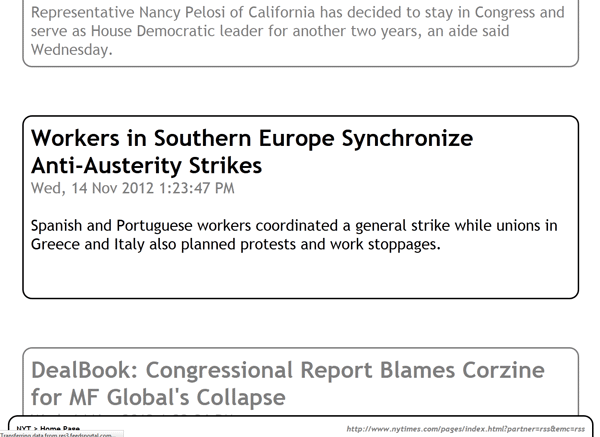 RSS feeds let you stream News and other updates to your DigiSign. 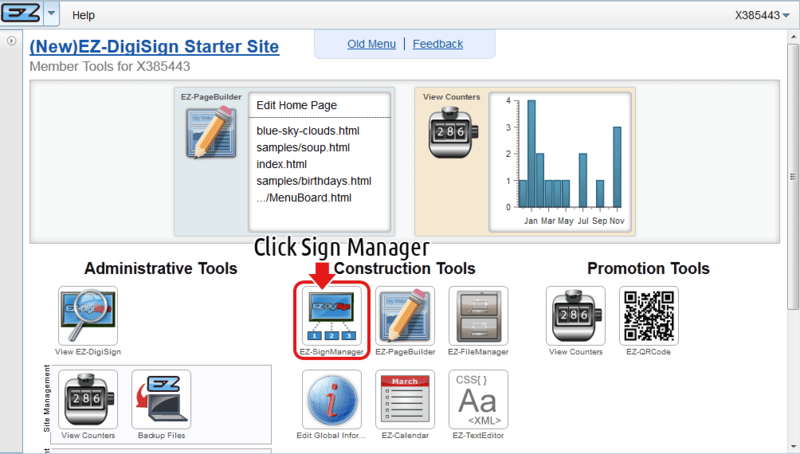 For example you can put an RSS feed from the New York Times, and have a steady stream of news headlines displayed on your Digital Sign. 3. 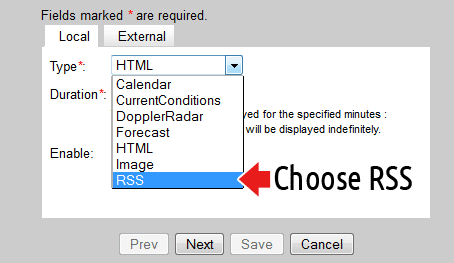 Choose RSS from the dropdown. 5. Write a title for example 'New York Times'. 7. 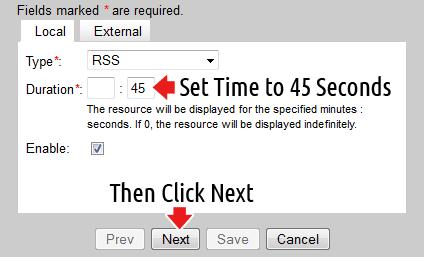 Copy and Paste the url to your RSS feed, and then push Go. So far it looks pretty nice. Each Headline stays for about 10 seconds, and then scrolls down to the next headline. However it's a little boring at the moment. Let's see if you can spice it up! 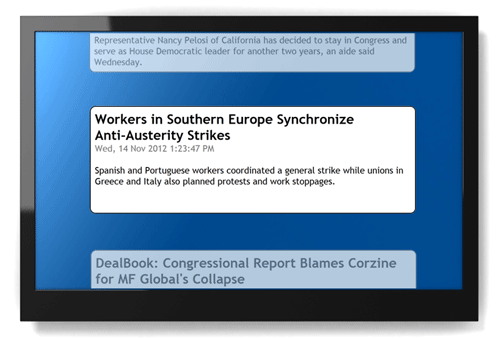 You can customize background colors and images, control how long each headline stays on the screen, and more! Most blogs and news sites have RSS feeds. 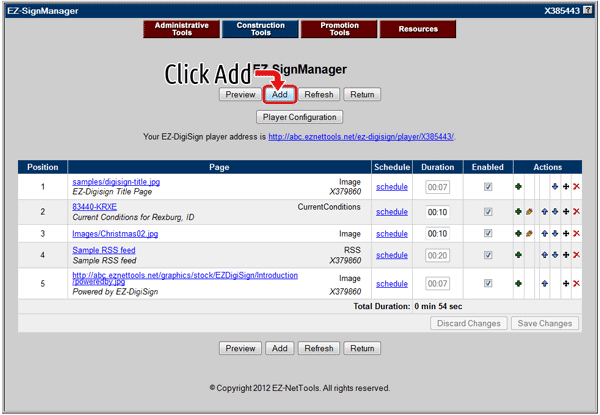 Look for the RSS icon, often found at the top or bottom of the page.